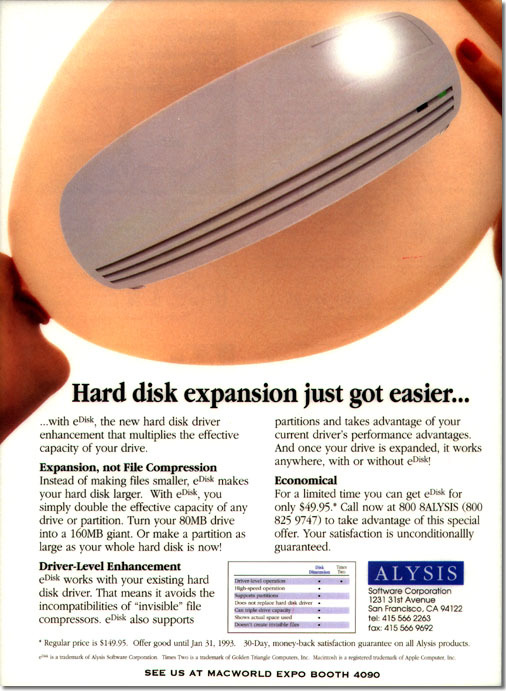 eDisk™ is the first product which Alysis Software Corporation has sold directly to the public, through advertising in MacUser and MacWorld Magazines and through direct marketing. Alysis has discovered that selling direct generates more sales and allows the company to communicate more effectively with its users. By varying the price of eDisk™ in monthly full-page advertisements, the company discovered an optimal price. 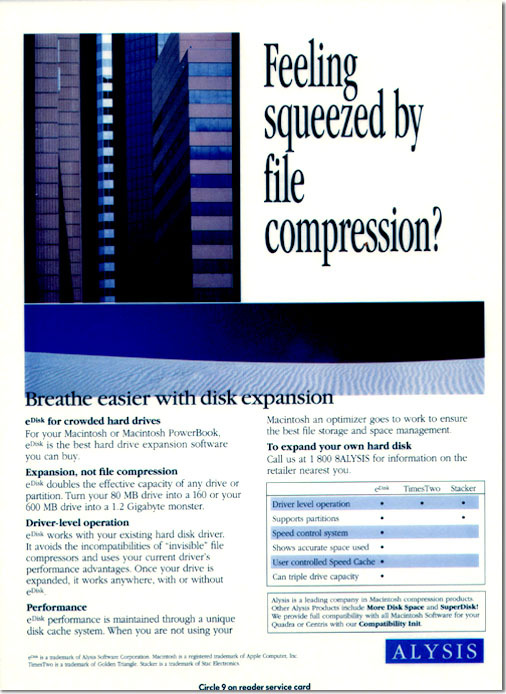 eDisk™ has appeared in several full-page advertisements in MacWorld magazine.